Washington. Sat. April 1 2017. “I’ll give it to you in two little words,” chief researcher Harvey Glumberg at the Inner Science Mysteries Foundation explained in a rare interview with the News Genesis Journal late Saturday evening. “Evil Eye. That describes the secret power Donald J Trump had and still has over former Secretary of State and former presidential candidate Hillary Rodham Clinton.” he said. Glumberg refused to elaborate, but this interviewer saw the researcher hiding a book on the Kabbalah beneath papers on his desk just prior to the interview. The Kabbalah is an esoteric tradition of ancient mystical knowledge that only the brightest Mekubbal scholars fully comprehend. So some of Glumberg’s knowledge of the Evil Eye powers, which few people possess, likely came from the Kabbalah. Glumberg did admit, though, in both tone and secretive manner, that the Evil Eye is a force to be reckoned with, and people ought not to take it lightly upon becoming its target. Entire populations in some Mideastern and African regions fear the Evil Eye and frantically try to ward it off lest they become unwitting victims of it. Suffice it to say, tales and superstitions about the “Evil Eye” predate written history. The Evil Eye is said to be the power to give someone a malevolent stare that inflicts misfortune and calamity on the target and his life. It can have only a temporary effect until the victim has “learned his lesson” or it can last a lifetime and be passed on to descendants who struggle and fail under misfortune after misfortune until they can find a healer, shaman, or other person of power to break the Evil Eye’s grip on the life of the person or family. Or, the powerful person who inflicted the Evil Eye on the victim can reverse it by the Glance of Grace. Lord knows, Hillary did enough rotten things during her stint as Secretary of State and the Presidential campaign, not to mention all that time with Bill Clinton in the Governor’s house of Arkansas, and the White House, to deserve the Evil Eye. People still gossip about how she snuffed out the life of Vince Foster or stood idly by while watching someone else do it. The Evil Eye is widely known, when cast by a man at a woman, to make the woman lose her wits, buckle at the knees, and faint inexplicably. People close to Donald J Trump claim that he can make people buckle at the knees and faint just by giving them the Evil Eye while watching them on television. 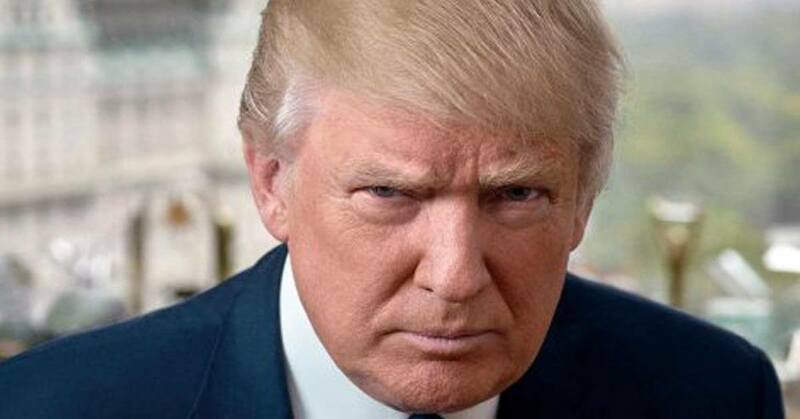 Insiders say they caught Presidential Candidate Trump practicing his Evil Eye skills by just gazing at the TV with eyes fully open, and then by giving a squint, somewhat like the Stink Eye. According to some insiders, Trump’s Evil Eye works on his victim anywhere in the world, simply by giving casting a malevolent stare at a photograph or video of the victim. One insider claimed Trump can look at the date and time on his one-of-a-kind chronograph wristwatch, and project the exact time and date that his Evil Eye will afflict its victim. The watch was a gift of Trump’s son-in-law Jared Kushner, a one-time Kabbalah acolyte. Next Next post: David Rockefeller – hero or heel?